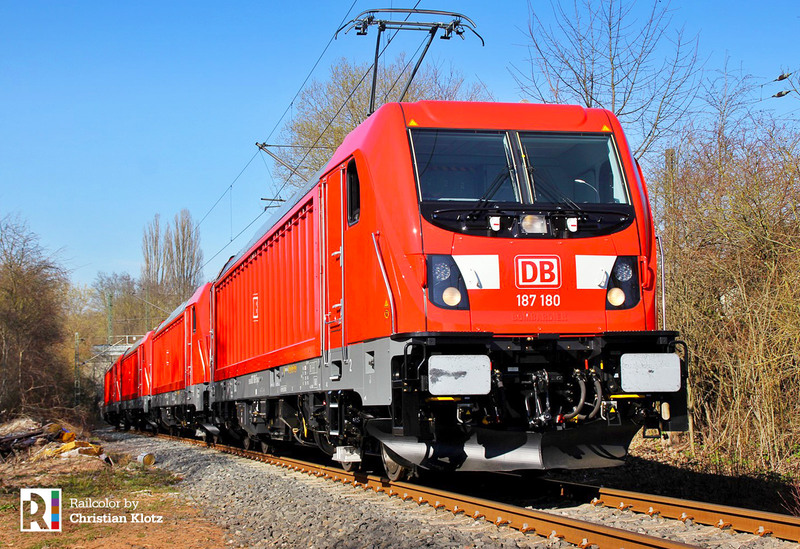 Bombardier’s AC3 production for DB Cargo Deutschland is approaching the magical number 187 187. 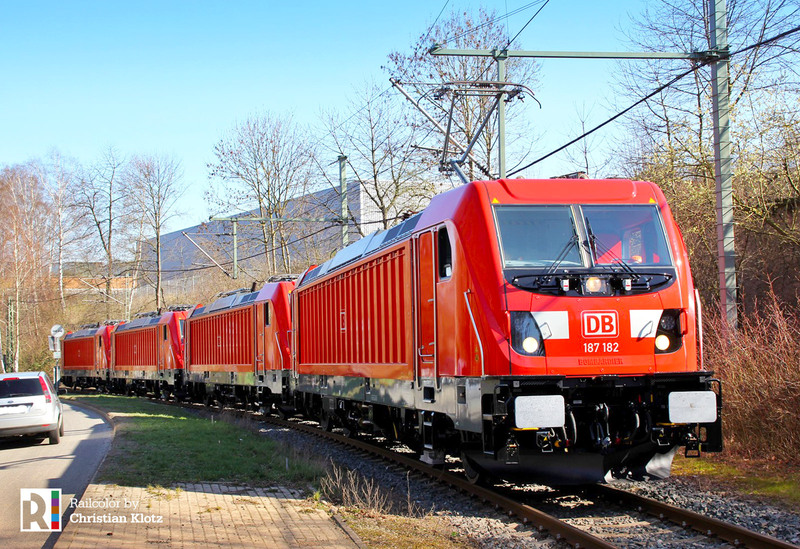 But as DB Cargo is changing its fleet strategy quickly, the future of these ‘Germany only’ locos has become uncertain. What is happening? ‘Only’ 172 of 450 ordered: In 2013 110 machines of this type were ordered, part of a 450-machine frame agreement. 62 similar locomotives are being built for DB Regio (20) and DB Fernverkehr (42) passenger services. This means that during the past 6 years ‘only’ 172 out of 450 possible locomotives were ordered. A considerable number for Germany-only locomotives, but not that many when you look at the original number planned. Numbering can be confusing: The 187s for DB Cargo Deutschland do not form a consecutive number series. Five ‘stock locomotives’ were assigned to DB Cargo in 2017, commissioned as 187 080-084. The ‘normal’ batch started with number 187 101, but Bombardier did deliver a 187 100 too, one year later. If they stick to the plan as of now, 187 204 will be the final and 110th machine. Out of vogue – Germany only: After having closed two comprehensive frame contracts with Siemens in 2017 and 2018, for in total 200 new electrics, while there is still a lot of options open in the Bombardier contract, it is clear that Deutsche Bahn has changed its strategy. Instead of stocking up its ‘Germany only’ AC fleet (Series 145, 152, 185 and 187) the company is now rapidly adding interoperable multi-system locos to its fleet in stead. 145s are being re-assigned (hired) to local daughter companies RBH Logistics and MEG. And 185s and 187s put up for sale (!). For sale (! ): So, Bombardier is now delivering new locomotives, that Deutsche Bahn is willing to sell. We are not aware of any deals (yet), but it is a very remarkable situation, caused by changing strategies with a very short time span. Selling-off the ‘oldies’ (151 and 155 series) to Railpool, high speed delivery of 100 new Vectrons, all measures that should improve DB Cargo’s position soon, and measures that are long overdue. Remember: During the first half of 2018 as DB Cargo Deutschland lost over 6 percent of its traffic volume (compared to the same period a year before) and had to book a loss of around EUR 127 million. Over the whole of 2018 the total loss (before tax) was 196 million euro. Last week, on 21.03.2019 to be more precise, 187 182-178-179-180 left Kassel together. The 181 and 183 left one day later.